RARE OPPORTUNITY- CUSTOM BUILT -FOUR SIDE BRICK- MASTER DOWN -3 CAR- SIDE ENTRY GARAGE IN Matthews! This Lovely 5 Bed,4 Bath Move In Ready Home Sits On .36 Lot That Backs To A Private Lush Landscaped Yard! This Open Plan Offers Gourmet Kitchen Including 42 Glazed Cabinets, Built-In SS Appliances, Granite, Back Splash Tile and A Service Island That Overlooks The Greatroom Featuring Beautiful Built-ins That Flank The Fireplace. Enjoy the Natural Light In The Sunroom or Relax On The Screened Porch! Hardwoods Run Throughout Living Areas, Tile In Wet Areas, Warm Custom Paint And Heavy Trim Details Throughout. Other Special Features: Irrigation, Fenced Yard, Leaf Gutter Guard, 2018 Tankless Water Heater, Upstairs AC/Heat Pump-2014, Walk-in Storage Plus Pull Down Storage In Garage. More Detailed Features In Attachments. This Community Is A Cluster Of 12 Custom Homes Located Close To Shopping, Dining, Hospital, Hwys and More! Island In Breakfast Conveys. Please, send me more information on this property: MLS# 3483890 – $424,900 – 1330 Lightwood Drive, Matthews, NC 28105. 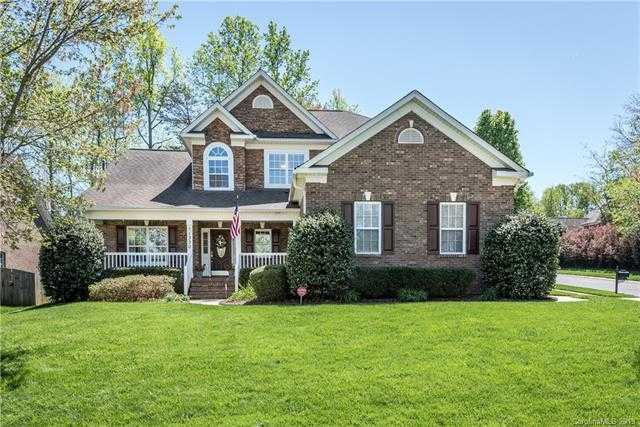 I would like to schedule a private showing for this property: MLS# 3483890 – $424,900 – 1330 Lightwood Drive, Matthews, NC 28105.